In the vast ocean of information that is available in the world wide web, the biggest job is filtering the search to content that would be useful to us. 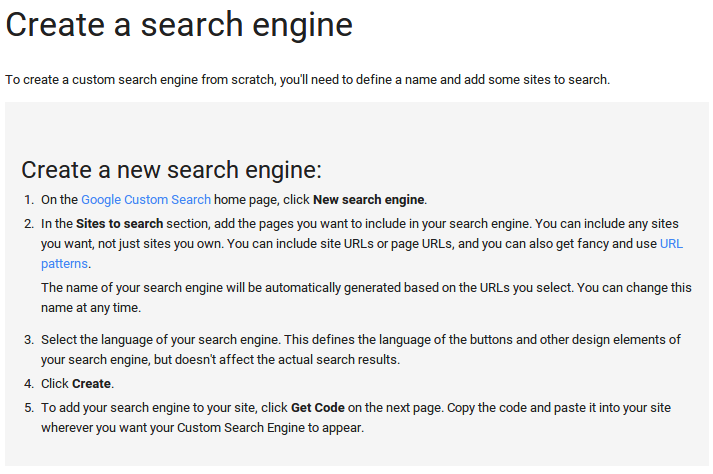 Google has been kind enough to provide all its users an option to create a custom search engine to filter our search content to particular websites of our choice. Here is a youtube tutorial on how to make your own custom search engine. The important thing is to add websites/journal/research content websites – as many as you would like into your search engine to get the optimal output. Visit my post on useful radiology research websites to enlist them into your search engine. This entry was posted in Tips and Tricks and tagged custom search engine, google, radiology, research. Bookmark the permalink.